This Maldives vacation was planned for a couple from Washington DC. They were both attorneys and wanted someplace where they could completely relax and drop out for a week. 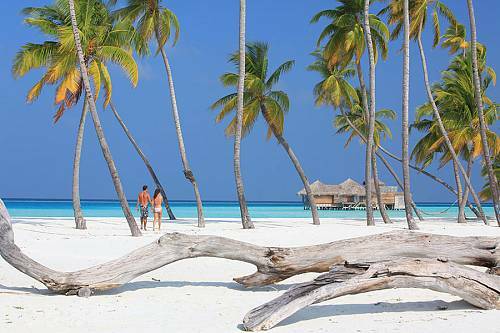 So we sent them to Niyama in the Maldives, which is in the Dhaalu Atoll and is truly paradise. 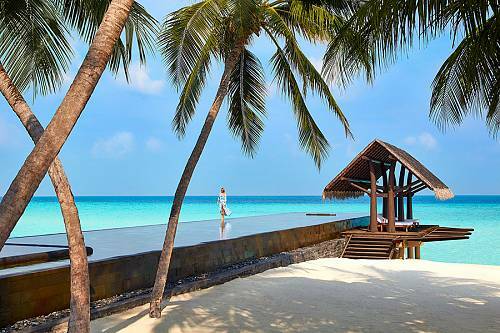 Fresh-faced Niyama, offers a chilled-out take on tropical-island luxury, teaming top-class dining, seductive beach bars and city-smart boutiques with a laid-back, kick-your-shoes-off vibe. If the endless Indian Ocean views don’t take your breath away, the speedboating, scuba diving and sports simulation rooms will. They stayed in a Water Studio with Pool. Ocean slumber. Steps to the lagoon. A sparkling palette of blues. Champagne flutes. A private world to explore. Expanse beyond, where ivory sails catch the breeze. Crisp white furnishings and splashes of aqua inside and out. Sink into a deep bathtub of modern edges. Sensual and daring, yours to explore at your own pace. They spent a lot of time in their room enjoying the views from their plunge pool and swimming off their deck. Niyama boasts that they have largest mini bars in the world, which are refilled daily, so they also enjoyed that daily. The couple had dinner at the resorts many restaurants including an underwater bar, the overwater restaurant and the beach restaurant. They also enjoyed the spa and snorkeling on the house reef. Today you arrive at the Male airport. After your document exchange and welcome to Maldives, you will board your seaplane for a quick flight to your private island destination, Niyama Maldives. Upon arrival, you will be welcomed to your home for the next 7 days in luxury. Spend the balance of the day getting settled. If you would like a spa treatment, make your appointments when you check in. Enjoy fine dining at one of the amazing Niyama restaurants, including Subsix – an underwater dining experience like no other. During your stay in the Maldives in your Water Studio, you can choose to relax the whole time or there are many activities to choose from, many are free of charge and other excursions are at an additional costs. Today you say goodbye to your little paradise, board your seaplane flight to the Male airport for your flight to Dubai and then back to the states. Niyama has many wonderful restaurants to choose from. Be sure to check out their underwater restaurant and club. And for a treat, get the 5-course degustation menu at their African restaurant Tribal, an innovative campfire dining experience where tribal charm meets contemporary luxury with a futuristic, beachside feel. Outdoor grills conjure up a mesmerizing mix of tastes from South America, Africa, and Asia with a menu that combines local inspiration and global flair. Live action adds a creative flavor with hot rock grills, Argentinian Asado woks, and open fires. An exotic al fresco dining stage is set for tribal gatherings with a dash of adventure and a pinch of fun. Experience the adventure of a lifetime in South Africa. 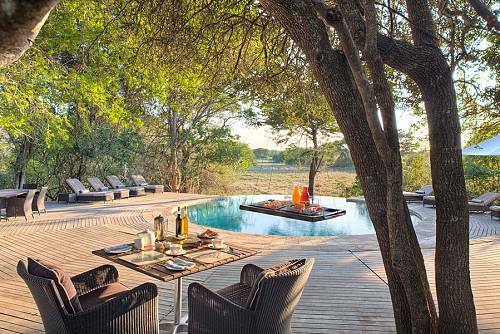 After your African wildlife safari, relax on the beach in Mozambique. Looking for luxury Maldives vacation packages? This luxury resort vacation at One&Only Reethi Rah Maldives is the ultimate romantic beach getaway! 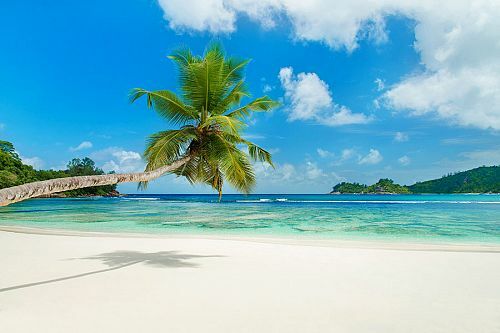 Spend a week in a paradise in a 5-star Beach Villa with direct access to stunning private beaches.